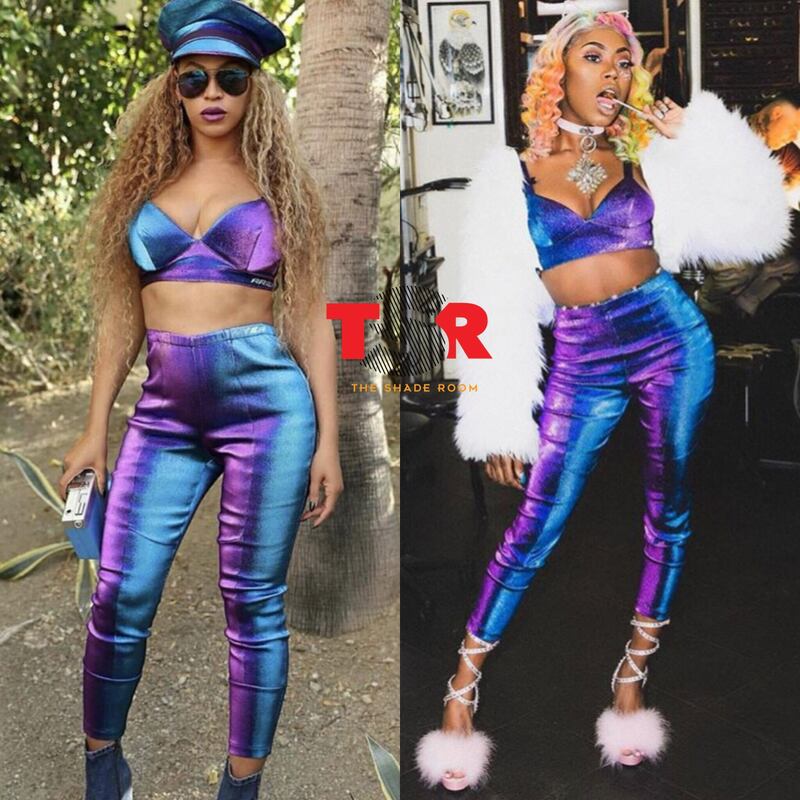 #BishStoleMyLook: #Beyoncé and #AsianDoll were spotted rocking the same 2-piece set. Beyoncé paired hers with a hat, while Asian Doll rocked hers with a white fur, and the shoes to match. Both ladies look great, but who rocked it best?